Investing time and money into enhancing your kitchen space can prove to be a very beneficial venture for nearly any Georgia homeowner. When you are unhappy with the size or layout of your cooking space, moving to a new home may be one choice that is far too costly or inconvenient. One approach for optimizing your kitchen that can provide long-term enjoyment and value is the crafting of custom cabinets. 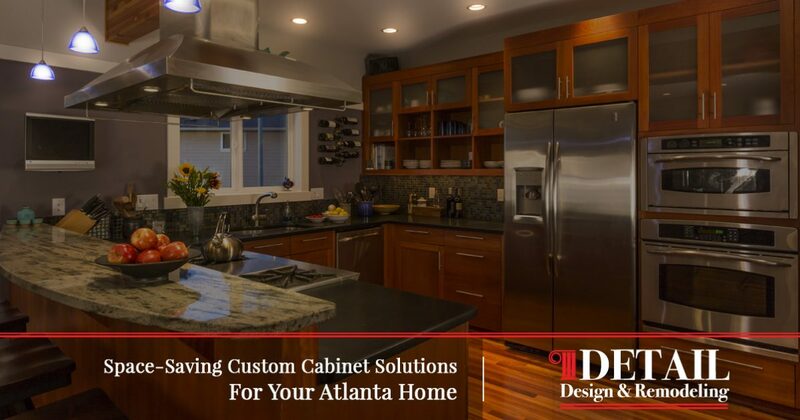 As your go-to experts for cabinet refacing in Atlanta, Detail Design & Remodeling is proud to offer comprehensive services that can transform and revitalize any home to shine with quality. While we focus on eco-friendly and cost-effective cabinet refinishing services to transform outdated cabinetry, our home remodeling contractors are trained and ready to go beyond your expectations by providing you with any and every service necessary to deliver the best results. When it comes to finding the perfect solutions for homes with limited space, all that is needed is need is some quality innovation and creativity to create long-term solutions that are sure to provide years of enjoyment. If you are struggling to find space in your Atlanta kitchen, read more below to learn about a few space-saving cabinet designs that may prove helpful in optimizing your experience. 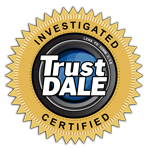 When done, be sure to reach out to our kitchen cabinet refacing pros to see how we can help! Harking back to the days of mason jar storage is the pullout pantry, a cabinet system that is designed to slide out on a rigid frame, giving residents full access to the depth of their food without the inconvenience of using a stationary cabinet. Homeowners with deep cabinets or limited space can struggle to gain access to hard-to-reach spaces, limiting the accessibility and enjoyability of the hardware at hand. Simply put, pull-out pantries are more efficient. Based on your kitchen dimensions and preferences, you can customize the shelving to perfectly match. From full pullouts to split pantries that can slide and then swing out, our happy clients have a full arsenal of choices to create the best fit. Custom pull-out cabinets don’t have to be reserved for food storage. Many people have found success with storing their dishes and go-to dinnerware in these space-saving pantries as well. No matter what your needs are, our renovation experts can help with heavy-duty frames, reliable runners, and all of the hardware needed to create a mobile pantry that can be easily accessed and stored. One simple approach to increase the storage space in your home is to install manufactured or custom cabinets in areas that simply aren’t being utilized. Those who are crunched on space but blessed with lots of natural sunlight can utilize the space above windows. In many cases, these smaller cabinets can be ideal for storing rarely used gadgets, cutlery for entertaining guests, hiding sweets from adventurous children, and so on. In most cases, you can install cabinets that fit in seamlessly with the rest of your kitchen’s theme while allowing uninterrupted sunlight to fill the room. Thinking about updating the appearance of the rest of your cabinets to match these new pieces? Detail Design & Remodeling can help with unbeatable cabinet refacing services! In many homes, the top of each cabinet is underutilized or unused entirely. Even if your cabinet tops are graced with products for storage, gaining access to this area can be dusty, inconvenient, and hazardous. Expanding your kitchen cabinets to the ceiling can be very helpful in both expanding and organizing your storage space. Many homeowners who need the help will install a ladder system for easy access, or at least invest in a step stool for vertical assistance. Expanding your cabinets will also help to make your kitchen look bigger, similar to the visual effects of installing a perfectly placed mirror. Our custom cabinet experts can go through your kitchen and offer the best space-saving solutions for your home. The island in your kitchen is the perfect place for storing a wide variety of cookware essentials without disrupting the layout or your budget. Homeowners have a wide range of choices as to how they can best optimize their islands, ranging from the installation of well-placed appliances (which will cost more!) to pull-out shelving for all of the needed cookware. Islands are a versatile area of the kitchen, providing the storage, surface space, and seating for a wide range of activities. Many people are surprised by just how powerful an island remodel can be, and our home remodeling contractors are excited to provide advice and guidance in order to deliver a product that you are sure to love your years to come! Being stuck with a miniature kitchen doesn’t have to be a long-term inconvenience for you and your loved ones. Seeking out the help of professionals such as Detail Design & Remodeling can provide amazing upgrades that are both valuable and cost-effective. While we specialize in cabinet refacing in Atlanta, our Georgia team is here and ready to provide all of the home remodeling needs to transform your kitchen. Contact us today to learn more about our cabinet resurfacing services or to receive a quote for your home!